James is a corporate practitioner with significant experience in corporate transactions, corporate governance, directors' duties and compliance with the Corporations Act, ASIC requirements and ASX Listing Rules. His practice has a strong focus on mergers and acquisitions, takeovers (both for bidders and targets), IPOs, other capital raisings and corporate structuring and reconstructions. 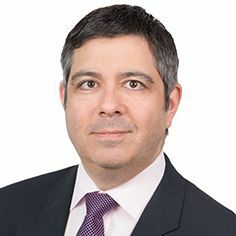 James also focuses on financial services, including financial services licensing, registered and unregistered managed investment schemes, PDSs and securities industry issues. James also provides advice on Corporate & Commercial matters and advises high net worth individuals and businesses on appropriate asset protection structures and succession planning issues. James is a member of the Takeovers Panel, a fellow of the Australian Institute of Company Directors, a fellow of the Financial Services Institute of Australasia and a member – Association of Corporate Counsel. He has also been recognised in the Best Lawyers ® listing 2014, 2015, 2016 and 2017 for Commercial Law and Mergers & Acquisitions.